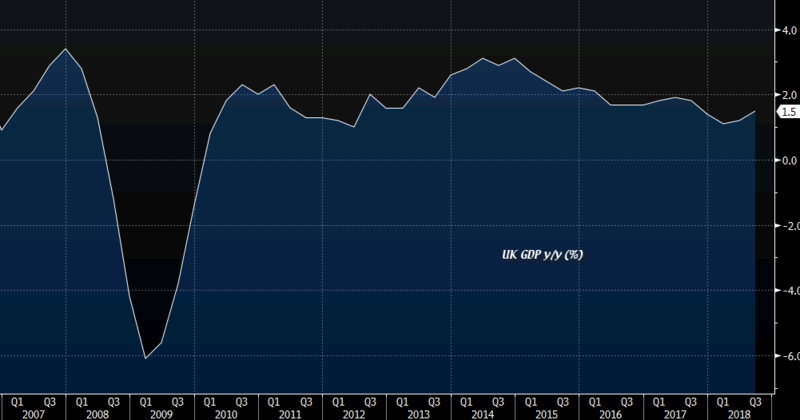 The main headlines are within expectations but I'm looking at the more concerning part and that is the fact that business investment continues to be a major drag as Brexit uncertainty weighs on the economy. Do note that the recovery here in Q3 is very much expected and should be a one-off backed by consumption mostly. Q4 will be a more accurate reflection of things and with business investment continuing to be a drag, the outlook isn't all too rosy and bright. A minor reaction in the pound sees it jump from around 1.3005 to 1.3020 against the dollar and is settling around there now. In my view, the report here doesn't change anything and the immediate focus will shift back to Brexit.